So here are the five essential antenna specs to convey when describing your needs. 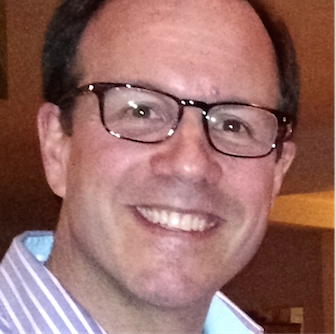 GAIN - normally stated in units of dBi, marketers usually use peak values or state a range of gains that are typical. Gain is a squishy number because it attempts to boil down a complex 3D field strength into just a few numbers. PATTERN - refers to the shape of the radiation around the antenna. 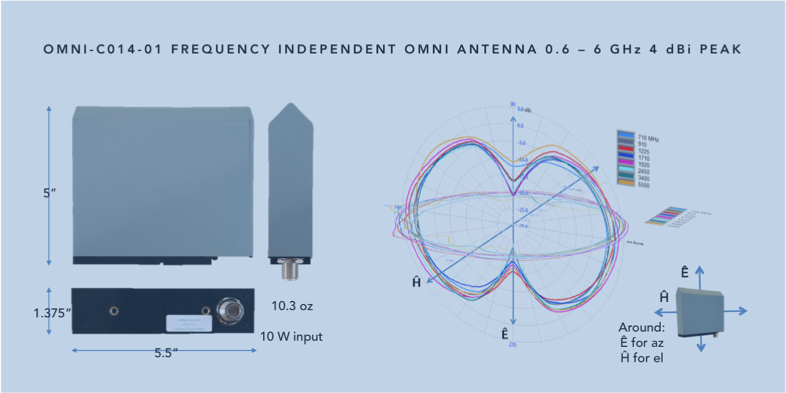 Omni implies a donut pattern typical of a dipole, pencil beam implies the pattern typical of a high gain dish, and so on. An infinite variety of patterns are possible! A sketch is worth a thousand words. FORM FACTOR - the old antenna saw about gain, bandwidth and compactness applies here -- pick any two! Seriously, knowing the platform and size constraints strongly limits the possible solutions. POWER HANDLING - this one often gets overlooked, but is really important. Sometimes power handling is stated in kW for high power transmit antennas, or for receive-only antennas, the internal limiters (which protect against strong signals nearby) are specified in dBmW. That's it, five easy pieces! Close study of this figure reveals its graphics and descriptions cover all five essential antenna specs to describe the OMNI-C014-01 fractal wideband antenna. It has impressive ten to one frequency coverage and is inherently frequency independent by its geometry, no matching network required. So if you can, when it's time to chat about your antenna application, please give some consideration to the five essential antenna specs, you'll have a much more efficient conversation!